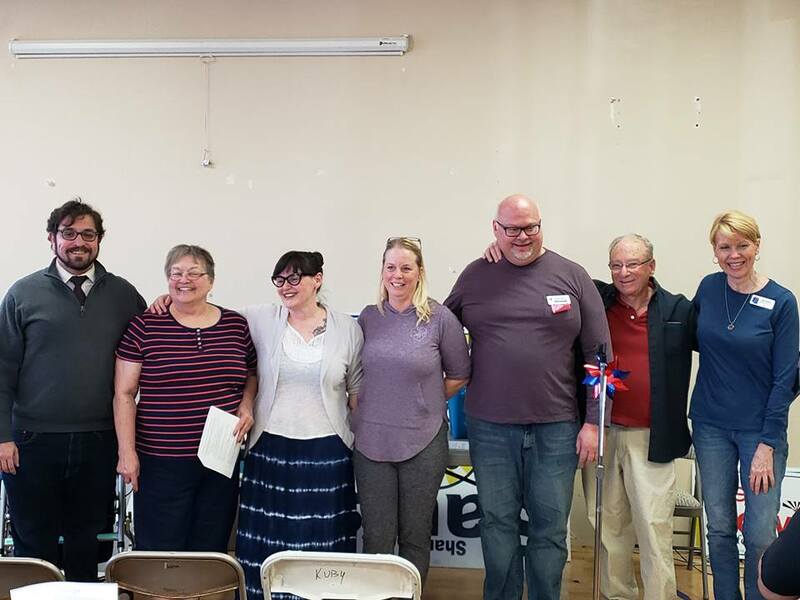 The Executive Board of LD 18 (from left to right): Saman Golestan, Dr. Janie Hydrick (LD Chair), LaDawn Stuben (Vice Chair), Carmen Alexander, Joseph Seelye, Norman Fuchs, and Salli Nelson. Planning for the next major elections in 2020 cannot wait until 2020. It actually started for most Legislative District (LD), County, State, and National Party Apparatuses in December 2018 and January 2019. At the LD level, organizational officers are either reelected or elected. Precinct Committeemen and Captains are asked to stay on while others are recruited. New candidates for local, state, and national offices are scouted and vetted. Voter Registration drives are organized, and fundraising never ceases. The officeholders, staff, and volunteers who reside in Arizona Legislative District 18 (a district that includes parts of Ahwatukee-Phoenix, Tempe, Mesa, and Chandler) serve as a role model that many LDs will probably look to for guidance on how to assist their candidates as they campaign, hopefully, to victory in 2020. Once an all-red district in 2014, the LD is now all blue after the elections in 2018 of Sean Bowie in the State Senate and Mitzi Epstein and Jennifer Jermaine in the House. Winning reelection as Legislative District 18 Democratic Chairperson, Dr. Janie Hydrick said in a question-and-answer session with Blog for Arizona that “unity is key” and it was essential to recruit “volunteer and PC talent and give them the room to do what they wanted to do” in order to get the desired electoral results. 2) Method for recruiting candidates if the same ones do not run again. “By supporting the incredibly important and successful work of March for Our Lives, we have voter registration in all the high schools and apartment complexes. The ASU YDs have also been great partners.” Blog for Arizona contributor David Boyles is in charge of setting up a wide range of venues and events for registering new voters.